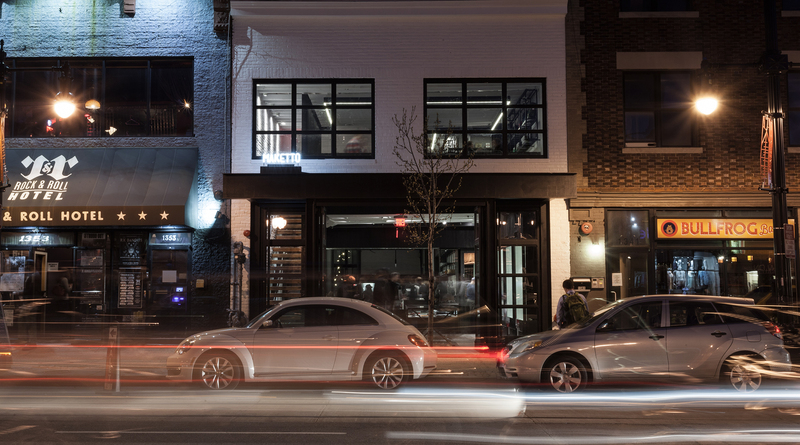 Maketto is a 6,000 sqft communal marketplace located in Washington DC, combining retail, restaurant, bar, and cafe experiences. The space features a modern/minimal attitude and includes a mix of 2 buildings, a courtyard, a roof deck, and a catwalk connecting the different spaces together. "We wanted to create a space where everyone felt at home, whether it was to enjoy a coffee and a pastry, a nice dinner, a great selection of wines, to shop for new shoes, or to just work quietly in the cafe. Our hope is that you learn/try something new and can always find a reason to come back to see us." "To build trust and community through quality, consistency, and accessibility." "Let our products speak for themselves." "Our doors are always open. Our home is your home." "You try something new while you are here."